The perfect gift for someone that you just can't figure out that perfect gift for. 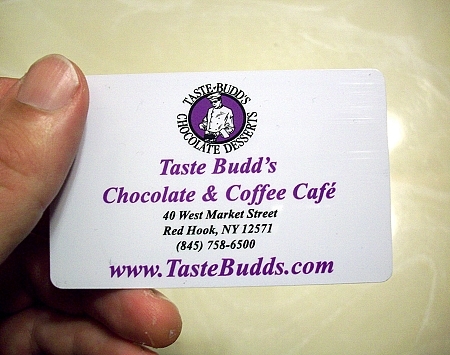 Exclusivley for use At Taste Budd's Cafe, 40 West Market Street Red Hook, NY. $10 or higher value of your choice. This card is also reusable/rechargeable. This card will be mailed to the address that you include as the shipping address for your order.